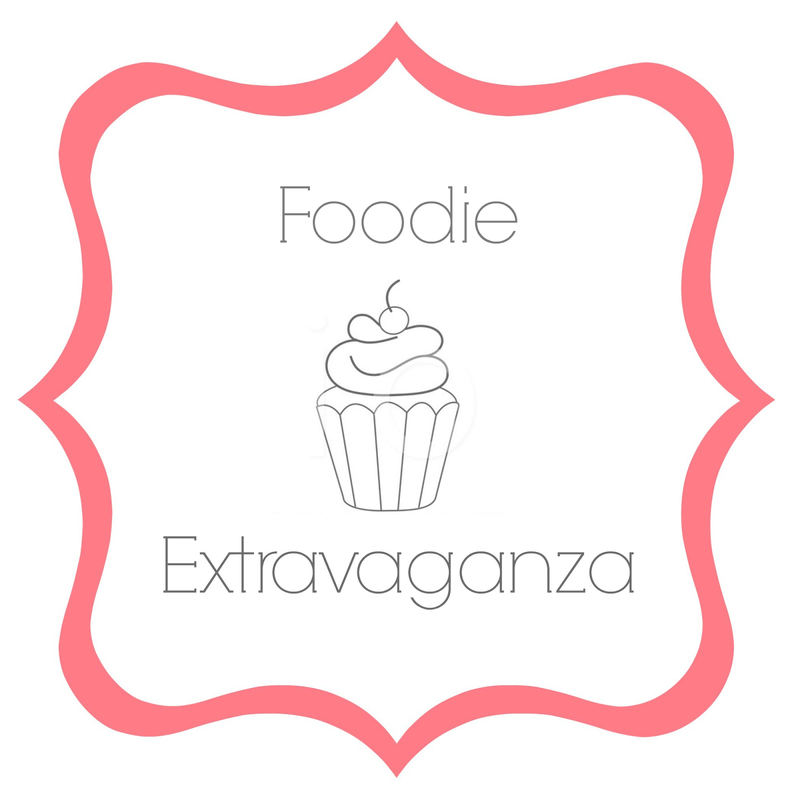 Foodie Extravaganza is where bloggers come together and celebrate food holidays. Did you know there is at least one food assigned to each day of the year to celebrate that food? Laura from Baking in Pyjamas is our host this month. Laura invited us to "Create a dessert of your choice which is Midsummer Eve themed. Think any kind of summer fruit or an interpretation of what Midsummer means to you." We hope you will enjoy the recipes we are sharing this month. Most of the people I know who actually celebrate Midsummer - marking the summer solstice - are northern Europeans. So, I decided to look at Swedish traditions as my mother-in-law is half Swedish and half Portuguese. We don't get to see her as often as we'd like, but I figured this was a nice way to honor her heritage. Midsummer celebrations in Sweden were held to herald in summertime and the celebrate the season of fertility. In some parts of the country, people dressed up as ‘green men' by draping themselves in ferns and other greenery. They decorated their houses and farm tools with foliage, and raised leafy maypoles around which they danced. Midsummer Night, being the summer solstice, is the lightest and longest day of the year. In Sweden and other parts of northern Europe it is considered a magical night and a night for foreseeing people’s futures. It is said that girls devoured salted porridge before bedtime and whoever, in their dreams, brought them water to quench their thirst was their future husband. Also, it was said, water was turned into wine and ferns into flowers for midsummer. Most Swedes have probably baked Kladd Kakka, Sticky Chocolate Cake, at least a couple of times in their lives. If not, they have surely eaten it! Most recipes I found varied in the proportions of ingredients, but most of the ingredients were the same - egg, sugar, cocoa powder, flour, salt and melted butter. And the processes I found were remarkably similar: the ingredients are mixed together and baked just enough. Hence the stickiness. There were also variations on flavors that were added into the Kladd Kakka. So, I put the question to my social media circles and asked: chocolate + _________________. The most common answer was 'wine.' Yes, I agree. Peanut butter was a close second. And I was intrigued by suggestions of cayenne and sea salt. In the end, I decided to go with citrus. But I will be trying out versions with cayenne and coffee, too. Thanks, all. A quick note on slicing - it is really, really sticky. So, be prepared for it to stick to the knife and come out all jagged and crumbly. It's okay...it's tasty, just not pretty. Whisk eggs and sugar together in a large mixing bowl. Fold in the coconut flour, chestnut flour, cocoa powder, and orange extract. Pour in the butter and stir until smooth with a spatula. Transfer the mixture into a parchment-lined baking dish. Smooth the top and press dried citrus slices into the cake. Bake in the oven for approximately 16 to 18 minutes. The cake should just be set on top and sticky inside. Let the cake cool before slicing. Today we received oysters in our CSF box from Real Good Fish. I'll admit: I have a love-hate relationship with oysters. I love them. Loved them. But, after one too many oysters in New Orleans when we were there for a SCUBA convention many, many moons ago, I developed a sensitivity to them. Yes, I may have had over a dozen raw oysters on my own. Maybe. In any case, I was miserable - stomach cramping and all - for an entire day. And, ever since, it's a fifty-fifty chance that I'll have the same reaction. I've eaten half a dozen fresh oysters from Morro Bay that didn't affect me at all; then I've eaten just one from Tomales Bay that sent me to bed in tears. There's no rhyme or reason to it. So, I usually steer clear. But these were so fresh that I decided to risk it. First, though, I had to shuck them. We received 16 in our share and I haven't shucked oysters in, probably, two decades. So, I watched a quick click on YouTube and gave it a go. Scrub the oysters clean with a brush. Rinse with cold water. Place the oyster on a towel in the palm of your hand. Have a small, shallow bowl nearby. Hold the oyster with the rounded side down, the flatter side up, and grip the side of the oyster that doesn't have the hinge. Insert the knife into the hinge and twist. Some oysters are easier to shuck than others. If the oyster is resistant, insert the knife deeper into the hinge and twist again. As soon as the oyster is partly opened, slide the shell open. Hold it over the bowl and let the juices drain into the bowl. Run the knife around the perimeter to fully open the oysters. You can scrape the meat from the shell. Or, if like me, you plan to steam them on the half shell, leave them attached. I steamed them in their own juices with some picked garlic and a dab of red chili paste. Yum. May was a productive month for my Foodie Reads 2016 Challenge, I have carved out full afternoons to read this month - meaning, I ordered my family to leave me alone while I crawled under the covers and devoured pages and pages of books. After making Cricket Chip Cookies for my Bizarre Foods SEM, I came across Edible: An Adventure into the World of Eating Insects and the Last Great Hope to Save the Planet by Daniella Martin. * Timely. I have to admit: I didn't love this book. It was okay. The subject is even wildly compelling for me. So, it means something that I struggled to get through this. Well, I struggled through the first 100 pages or so. And, considering that the book itself is only about 130 pages, not including the voluminous introduction...well, you can do the math. I definitely didn't love this book. She starts off as too much of a treatise and less of a narrative. For pages and pages she details the FCR (food conversion ratio) of cows to beef, pigs to pork, chicken, and - finally - insects. She discusses how Americans are already eating bugs because of the FDA regulations on allowing insects and insect parts into our foods. And she makes an argument for veganism being completely unnatural; I'll admit I did chuckle at that part. But her personal stories about eating insects didn't really start until about 100 pages in. Those were the stories that I really enjoyed - her travels and experiences eating bugs from Palo Alto to Japan and through Thailand and Cambodia. The last 90 pages are a reference guide for edible insects as well as some recipes. Those were informative. I'll definitely be trying some of those recipes soon. When I was talking to the boys about their lunch requests on this holiday Monday, everyone wanted pizza. So, I decided to make some cricket dough, mixing flour and cricket flour, for the boys using Mark Bittman's "No Work Mostly Whole Wheat Pizza Dough." I made a cormeal dough for my gluten-free husband. This is the easiest pizza dough I have ever made! But it does require lots of lead time. The recipe suggests letting the dough ferment for six to twelve hours and that the longer you let it ferment, the more complex the flavor. Mine, today, only made it about 6 hours before it was time for lunch. Mix all of dough ingredients together in a large bowl. The texture will be a wet, sticky dough. Cover and let ferment for as long as you can - between six and twelve hours. At the end of that, use the dough as you would use any pizza dough.Knead in up to 1 C flour until the dough is elastic. Preheat oven to 450 degrees F. Divide the dough in half. Roll the dough out as thinly as you can onto two baking stones. Top with toppings (reserve the dried crickets for serving or they will burn) and bake for 18 to 20 minutes until the dough is crisped and golden. Slice and serve hot. Here's what everyone else read in May 2016: here. The Secret Recipe Club has a fun, themed - fifth Monday - event that blurs the lines between the groups. You can be assigned to any other participating blogger in groups A through D. Our theme this month: Picnic & BBQ. I was excited to be assigned to The Spiffy Cookie, written by Erin. I've been reading Erin's blog for awhile. She's even taken part in a few online multi-day, multi-blogger events I've organized; and she's one of the hosting bloggers for our year-long project: The Book Club Cookbook Cooking Project. So, I was excited to get to explore her blog more. I have a funny story. I recently saw one of my local friends bragging about the best chocolate chip cookies ever on social media. And it was one of Erin's recipes. I was so tickled to see my blogging life intersecting with my actual life. I told Jenn, "Not only is she a Spiffy Cookie, but she's a Smart Cookie!" Erin has a PhD in Microbiology. More importantly for my purposes, she's a lover of food. She cooks and bakes almost every day and loves trying out new recipes. And, like me, she rarely makes the exact same thing twice (much to people’s dismay). I was intrigued with her Avocado Cheese Ball, Easy Corn Salsa, and Nutty Edamame Dip. Check out her Chili-Lime Roasted Butternut Salad, BBQ Chicken Salad with Cornbread Croutons, and Asian BBQ Chicken. And though I don't have much of a sweet tooth, I loved the look of her Gluten-Free Avocado Brownies, Peanut Butter Fudge Brownie Brick, and Peanut Butter Chocolate Molten Lava Cakes. I decided on her Beef Negimaki. I have made Vietnamese Beef Rolls before, but I loved Erin's version with carrots and broccoli in addition to the green onions. I did adapt her recipe slightly, using a gluten-free tamari instead of soy sauce and using broccoli instead of broccolini because that's what I had. Also, for the event theme, I decided to cook this directly in a grill pan instead of in a foil packet on a grill. That fits into the BBQ category, no? Pound your steaks as thin as you can. I used a wooden rolling pin as I don't own one of those handy meat tenderizing hammers. Place meat in a rimmed dish. Combine hoisin sauce, tamari, vinegar, and oil in a bowl and pour over the meat. Let stand and room temperature for 20 minutes, flipping the meat after 10 minutes. In the meantime, blanch your onions, carrots, and broccoli. Drain immediately and set aside. To assemble, lay your marinated beef on a piece of parchment paper and arrange green onions, carrots, and broccoli in the center of the meat, letting the tips hang over the edge of the meat. Sprinkle with salt, pepper, and black sesame seeds. Roll the meat into a tight cylinder and secure with 100% cotton twine. The diameter of the roll should measure no larger than 1½ inches. Repeat with remaining beef and veggies. Grease a grill pan and heat until just below the smoking point. Grill the beef for 2 to 3 minutes on each side, searing the meat. Transfer the beef to a platter and drizzle with sesame oil. Cover with foil and let stand for 10 minutes before slicing. Using a sharp knife, slice the rolls into ½" pieces. Serve immediately. I served it with a dipping sauce of gluten-free tamari and sesame oil. Memorial Day kicks off summer. Some kids are already out of school; mine aren't...not quite yet. But summer means cookouts on the beach and lots of fun, casual potlucks. 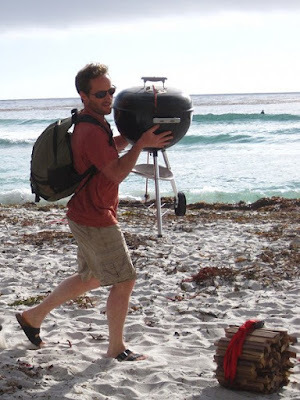 Often my husband will drag our lil' grill out to the beach and friends will just bring whatever they want to throw on the grill and a dish to share. 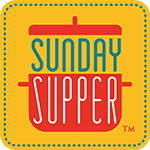 Today the Sunday Supper Movement tastemakers are sharing their BEST recipes for summer gatherings! T.R. Crumbley of Gluten Free Crumbley is hosting. I decided to share a recipe for elotes - roasted ears of corn, smeared with butter, topped with cheese (sometimes! 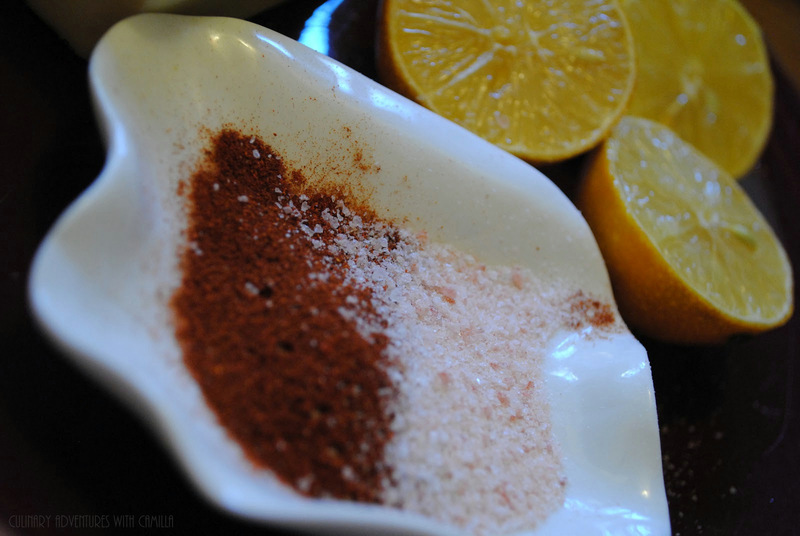 ), salt, chili powder, and a squeeze of lime juice. My favorite part about this recipe - besides devouring it - is that I roast them in their husks so there is virtually no prep. Then, where ever I am going to serve them, I just quickly heat them on the grill and the husks stay on as a "handle" of sorts. Preheat oven to 350°F. Rinse ears and place corn cobs on a baking sheet. Roast for 30 minutes. When you're ready to serve, peel back the husks and remove the silk. Wrap the husks near the base of the cob and tie in a knot. Char the corn on a hot grill and serve immediately with the butter, salt, chili powder and lime cut into wedges. Ceviche is easily one of my top appetizers of all time. Though, tonight, I served it as dinner! It's a simple dish of seafood "cooked" by the acid in lemons and limes. It's so easy, but it requires incredibly fresh ingredients. I usually ask my fish monger which is the best choice for ceviche that day. Today he offered me big, beautiful prawns. Perfect! Place the raw seafood pieces in a glass dish and cover them with lemon juice. The seafood should be completely covered by juice. Cover the dish and place it in the refrigerator. Let the seafood marinate or "cook" in the lemon juice for at least 4 hours. Once the seafood is "cooked" in the juices, drain the lemon juice, but reserve 2 T of the juice. Chop the prawns into bite-sized pieces. Place the piece back in the reserved lemon juice. Stir in the salsa, avocado, and cilantro. Season to taste with salt and pepper. Today was the day I promised them would come: we ate crickets. I'm not sure they believed me at the beginning of our six weeks together. But, c'mon, I did feed them durian (click to read about that adventure)...did they really not think I could find some crickets to feed them?!? So, I packed up my bin of ingredients and tools and planned to have them make cricket chip cookies. That is - chocolate chip cookies with cricket flour. One student asked if I were going to put the whole crickets in them, too. Good idea!! Place 1 C chocolate chips and butter into a small saucepan. Heat over low heat until everything is melted and smooth. In a large mixing bowl, whisk together the sugar, cocoa powder, flour, cricket flour, salt, and baking powder. Add the egg and fold it in with a spatula. Pour in the melted chocolate-butter mixture and the vanilla extract. Mix until everything is moistened. Stir in the remaining chocolate chips. Scoop the cookies by the tablespoon onto the parchment-lined baking sheet. Press the crickets into the top of each cookie. Bake the cookies for 12 to 14 minutes. They will look dull. Remove them from the oven, and cool right on the sheets. Makes approximately 30 cookies. While I loved the idea of bacon wrapped fish, I clearly need a do-over. I call 'mulligan!' Or maybe I should actually follow someone else's tried and true recipe instead of winging it blindly. I figured: How hard could it be? Let's just say my fish was overdone and the bacon was not done enough. Ugh. So, apparently it's harder than I thought. But I am posting this because as much as I love sharing my kitchen successes and triumphs, I find it equally important that we share those flops, too. It makes us human and encourages us to embrace the fact that we aren't Martha Stewart...at least not everyday, right? 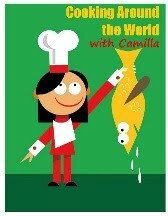 And if any of my dear readers has a recipe for bacon-wrapped fish that they adore, send it over. I'll give it a try. Thanks in advance. This is a sponsored post written by me on behalf of Gourmet Garden. All opinions are my own. 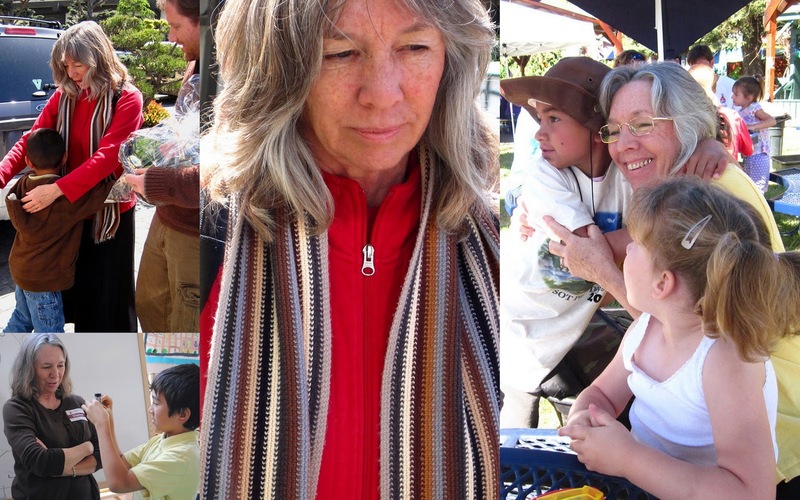 I have worked with Gourmet Garden on several different events in recent years. Through those events - #HotSummerEats, #FreshTastyValentines, #10DaysofTailgate, and #TripleSBites - I have created a variety of savories and sweets, including - but not limited to - Grilled Lemongrass Lamb, Savory Hops Granola, Chili-Cumin Pan-Fried Meatballs, Savory Hemp Seed Pesto Truffles, Roasted Broccolini Soup, Lemongrass Ginger Cheesecake. Needless to say, I'm more than a little smitten with the ease that these products provide. Gourmet Garden has Stir-In Herb Pastes as well as Lightly Dried Herbs. I once shadowed a chef for a day and he commented that, if you're using quality ingredients, you often don't need much more than salt, pepper, and some herbs. Those herbs add layers to a dish through their flavor, color, and aroma. And, let's just be clear, we don't all have an herb garden at our fingertips. Even if we do have an herb garden, it doesn't produce all year long. That's where my love of Gourmet Garden come in. Their products are available in the refrigerated produce area of your grocery store; their herbs stay fresh for weeks. Weeks! So, you can have herbs at the ready when you need them. Additionally, all of the products are GMO-free. These are products I feel good about using. And, though I love all of their stir-in pastes, my absolute favorite is their lemongrass paste. Do you know why? Have you ever tried to mince lemongrass? It takes more patience and more knife-skills than I have. 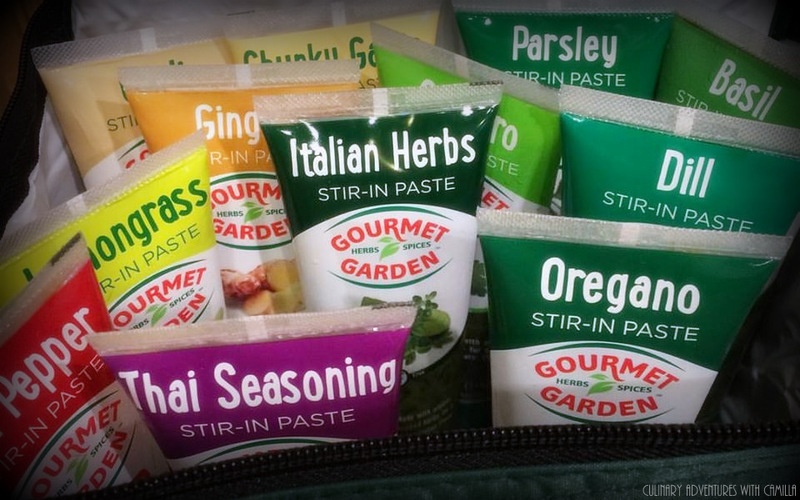 So, when I am creating a recipe that requires minced lemongrass, I head to the grocery store for a tube from Gourmet Garden. I want to share one of my favorite ways to use lemongrass. 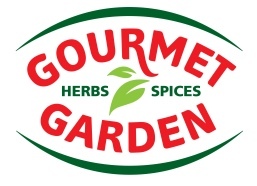 At the bottom of this post, you have a chance to win an entire package of herbs and spices from Gourmet Garden, so keep reading. * If you are unfamiliar with black garlic, you can read about it: here. And if you can't find any, just use more white garlic. Preheat the oven to 450° F. Line baking sheet with a silicone baking mat or parchment paper. While the wings roast, whisk all of the remaining ingredients together to create a hot sauce. When the wings are done, add them to the sauce. and toss to coat. Serve immediately. This giveaway runs from May 25th, 2016 through June 6th, 2016 and is open to U.S. residents, age 18 & up only. All entries for the winner will be checked and verified. The number of entries received determines the odds of winning. One winner will be selected. The prize package will be sent directly from the giveaway sponsor. I am not responsible for the fulfillment or delivery of the prize packages. No purchase necessary. Void where prohibited by law. *Full Disclosure: I received an assortment of prepared and lightly dried herbs for recipe development and an assortment to giveaway to a reader. I received no additional compensation for this post; all comments are 100% accurate and 100% my own.